Isaac Woodbridge Riley was born in New York City in May of 1869. His father, a Presbyterian Minister, moved the family to Buffalo in 1875. Riley attended the English school in Florence, Italy, for several years before returning to the United States to complete his bachelor's degree at Yale. in 1908, while working on his masteris thesis, "The Metaphysics of Mormonism", he spent a year teaching English at New York University. He expanded his master's thesis to earn a Ph.D. in philosophy in 1902. The thesis, published as "The Founder of Mormonism: A Psychological Study of Joseph Smith," drew criticism from the Mormon Church, foreshadowing the kinds of response that Riley’s unapologetic and often satiric scholarship would receive for the rest of his life. Throughout his career, Riley was interested in the development of philosophic thought; most of his work analyzed philosophic or religious movements in Italy or America. While he did not develop a new school of thought or significantly modify an existing one, he was an excellent philosophic historian with a very good critical eye. His approach to existing material was often innovative; he combined and compared material in ways no one had thought of before. Riley worked for two years as a professor of philosophy at the University of New Brunswick before becoming a Johnston Research Scholar at Johns Hopkins University in 1904, under the direction of the psychologist James Baldwin. The arrangement seems oddly cross-disciplinary, but psychology had always underscored philosophic study in much of Riley’s work. 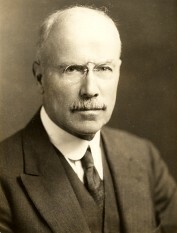 From 1903 until 1907, he served as an associate editor of the Psychological Bulletin. At the end of his tenure at Johns Hopkins, he published the results of his research, American Philosophy: The Early Schools, a work he would be best known for in his lifetime. The American National Biography notes that the work was particularly important because "it presented for the first time material that previously had been scattered, inaccessible or almost unknown." In 1908, Riley joined the Vassar philosophy department. There, he impressed students with his insights and with his satirical bite. He shared with his students his analytical and critical capacities, instilling in them his deep dislike of fraudulent or sloppy thinking. As his natural abilities led him towards philosophical history and criticism, he was excellent at outlining philosophic movements and demonstrating how they developed over the course of the centuries. He was also perhaps one of the most notorious professors employed by Vassar in the early twentieth century. For the most part, his humor and satiric inclinations were valued. 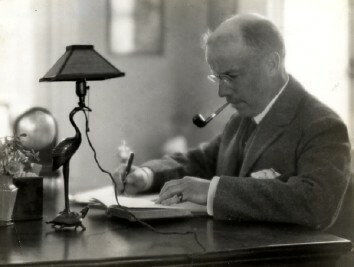 However, in 1921, "The Faith of Christian Science," part of a chapter, "Popular Bibles," he wrote for the fourth edition of the Cambridge History of American Literature, criticized the religion as "inconsistent and illogical." Moreover, parodying the traditional honorific title of Hermes, "Hermes Trismegistus" (thrice-great Hermes), Riley referred to the religion’s founder, Mary Baker Eddy, as a "thrice-married Trismegistus." He may have been attempting to relate Christian Science to the Neo-Platonism of Classical times, but the reference was lost on the Christian Scientists, as the overall tone of the article was quite irreverent. A second section, on Mormonism was equally ascerb, and when the heads of both denominations complained, the publishers, G. P. Putnam's Sons, recalled the volume and replaced Riley’s chapter. The incident made the front page of the New York Times; no one seems to have been certain which was more shocking, the article or the censorship. Despite this run-in with religious conservatism, Riley’s scholarship was universally respected. In 1920, the Sorbonne invited him to lecture for a year on American philosophers. These lectures were later published by the Sorbonne, with an introduction by Henri Bergson. Riley was a prolific scholar; he wrote close to one hundred articles on American and Italian philosophy and psychology for publications such as Psychological Review, the Journal of Philosophy, The Bookman and The Nation. He also worked as an editor both the Italian magazine Logos and Poughkeepsie’s The Chronicle. He died unexpectedly at the age of sixty-four in early September of 1933, at his summer cottage in Cape May, New Jersey, leaving behind his wife and five children. At the time of his death, the Poughkeepsie Evening Star called him, "A lucid thinker, an original talker and writer," adding that "he had a provocative flair of saying or writing what he thought." His students at Vassar would have agreed. "Prof. Riley Dies; Philosopher on Vassar Faculty" Herald Tribune 3 September 1933. Riley, Woodbridge. "Letter to the Editor" Saturday Review of Literature 16 February 1929. 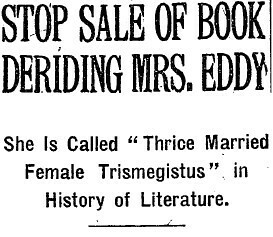 "Stop Sale of Book Deriding Mrs. Eddy" New York Times 19 April 1921. Sweetman, Brendan, "Riley, Isaac Woodbridge;" American National Biography Online. Feb. 2000. “Woodbridge Riley,” Biography File, Special Collections, Vassar College Library. "Woodbridge Riley," Photo File 8.31, Special Collections, Vassar College Library.